Whilst most training with FAITH occurs ‘on the job’ we are currently running regular evening training sessions for all new volunteers. New volunteers are always welcome and you can come along once to see whether this is what you want to do before formally applying to be a volunteer. 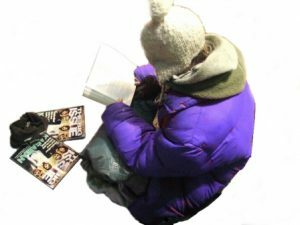 Sleeping rough usually means being tired, cold and hungry. That makes a person vulnerable, especially to ill health and emotionally to irritability, if not anger. Drug use or alcohol abuse may make a person unpredictable in their behaviour. For these and other reasons training is vital. If you would like to work with FAITH on a regular basis we have a volunteer application form that you must fill in.